Are you eating cookies for breakfast, lunch and dinner? This time of the year you’re baking cookies to give away (or to keep for yourself) or receiving cookies or both so it’s definitely socially acceptable to consume cookies all day long. 😉 The question is what will we eat when the holidays are over? Oh right, salads and smoothies. You know, because my New Year’s resolution will be to lose weight. Again. Until then, I’ll happily eat all the cookies I can get my hands on, including these cookies. 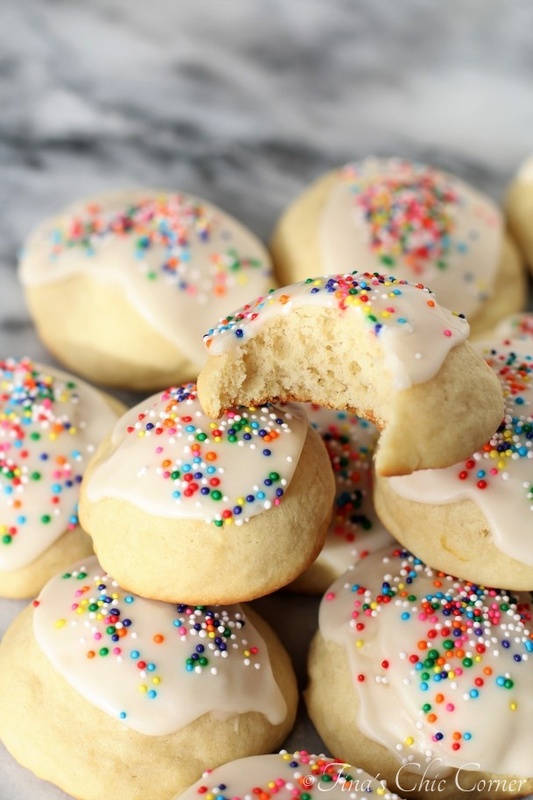 These Italian ricotta cookies are one of the best cookies I’ve ever made. I’ve made A LOT of cookies so that’s saying a lot. They are like little pillows of cakey lemon heaven. These cookies remind me of the white part of a black and white cookie, so if you’re a fan of those then you’ll love these. And that icing on top?! I can’t resist a cookie with icing on top. Okay, I can’t resist any cookie, but especially if it has some sugary sweetness on top. Note: These cookies require a minimum of 2 hours chilling time. In a very large bowl, cream the butter, sugar, and lemon zest together until light and fluffy. Mix in the ricotta cheese and vanilla extract. Add in one egg and mix together, then add the second egg and mix together again. Gradually add in the dry ingredients until combined. 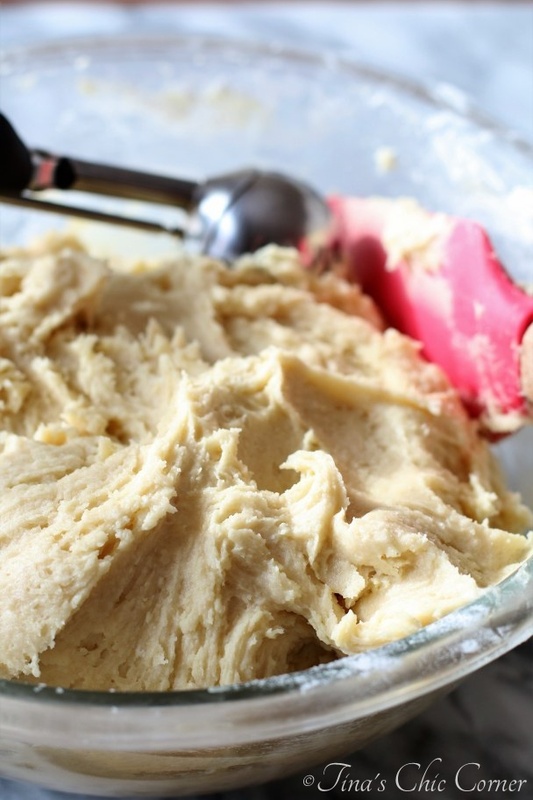 Chill the cookie dough for a minimum of 2 hours. 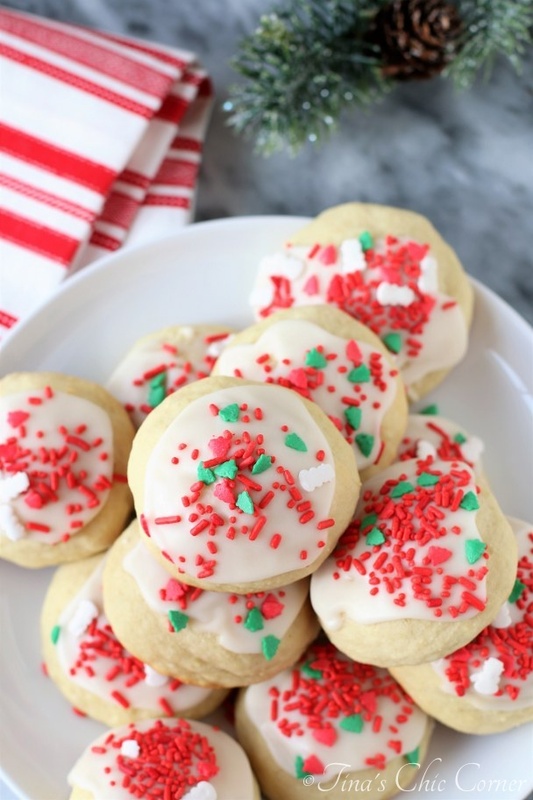 Place the dough balls onto a cookie sheet and bake the cookies in the preheated oven for about 12 minutes. Allow the cookies to cool for about 2 minutes and then carefully transfer them to a wire rack to cool completely. 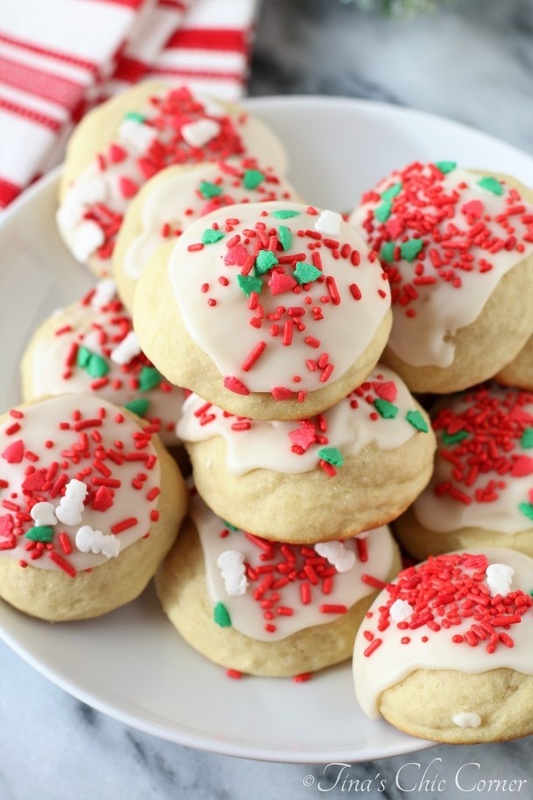 Once the cookies have cooled, drizzle the glaze on top. You can dip the tops in, but I liked using a spoon to spread some in the middle of each cookie. (optional) Sprinkle some non-perils or holiday sprinkles on top of the glaze. In a small bowl, mix together the melted butter, lemon juice, vanilla extract, powdered sugar, and 4 tablespoons of milk. If the glaze is too thick, add a little more milk at a time and stir. The goal here is to get a thick glaze. Your photos of these cookies are so amazing. I feel like I can reach right in and grab a cookie. They are so pretty and delicious looking. A cookie I will make for my family. Merry Christmas! You made my day! Thank you so much! Merry Christmas!! These look fabulous and I’m looking forward to making them! 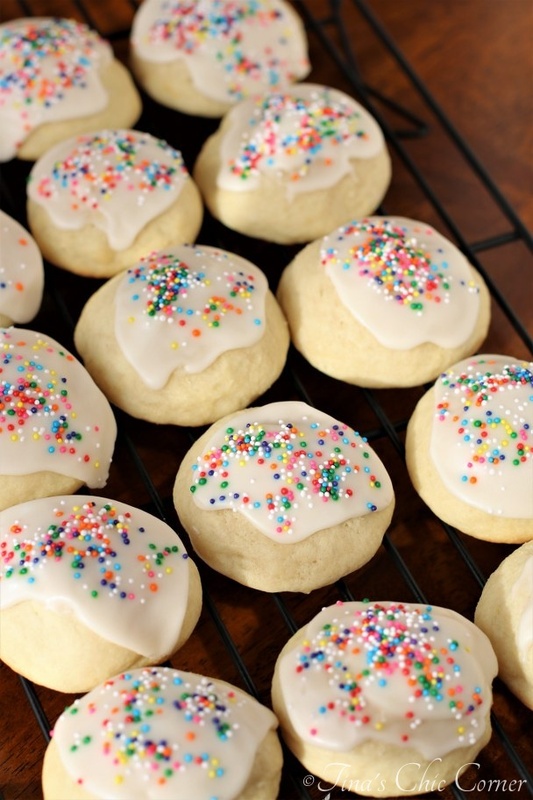 I have seen several recipes for ricotta cookies and yours chills the dough when others do not. Why chill for 2+ hours? Thanks! Hi Ashley. Chilling cookie dough is an ongoing debate with my husband. I think the short answer is that chilling is supposed to help prevent the cookie from spreading when it bakes. However, my husband would say that if the ingredients are correct then one shouldn’t need to chill the cookie dough (which I do agree with). This particular recipe that I followed recommending chilling so I followed those directions.